When is Prenatal Massage Safe? Massage is a technique often used to promote overall health, help to reduce stress and relieve tension in the muscles. For pregnant women, massage can be a quality treatment for prenatal care but is often avoided due to misconceptions. Massage therapists are trained to massage all body types, including women who are pregnant. Special positioning and designed massage tables and cushions can help pregnant women to reap the benefits of massage by a trained therapist. With massage, women who are pregnant can enjoy several benefits. Anxiety can be reduced, depression symptoms decreased and joint pain and muscle aches relieved. Depending on the type of treatment needed, various types of massage can be used. For the most part, Swedish Massage is used to assist with the discomforts of pregnancy. The goal of Swedish Massage is to help muscle tension relax and improve the circulation of the blood and the lymphatic system. Gentle pressure is used on the muscles to provide relief. This type of massage is used during pregnancy as it helps with discomfort but also the circulatory issues that arise during the different stages of pregnancy. During pregnancy, women often suffer from swelling and sciatic nerve pain. With massage, both of these issues can be relieved. The joints often swell during pregnancy due to circulation reduction. With massage, the circulation of the blood is revived which reduces swelling. Sciatic nerve pain is created due to the uterus sitting on the muscles located on the pelvic floor and into the lower back. With massage, the pressure can be relieved which helps to decrease the nerve pain. When it comes to prenatal massage, you may feel better about scheduling an appointment once you have spoken to a professional. You’ll want to address any concerns you have so that you feel relaxed and comfortable during the massage. An important factor to consider for the massage is body positioning. Some massage therapists have women lay on their side. At Academy Massage, we use special cushions that can be adjusted and positioned to fit each patient as comfortably as possible. The goal is to feel comfortable with who you are working with and the massage process. If you are uncomfortable, then you will only tense up, and any massage work will not have the quality effect. If you can feel comfortable and relax, then you can reap the benefits you will feel during the massage therapy. With pregnancy, a woman’s body is constantly changing, which can lead to an uncomfortable feeling and irritability. With massage, you have an option to feel better, with treatment assisting the body in feeling better, which can instantly improve your mood. At Academy Massage, therapy for pregnant women is available, ensuring patients can relieve pregnancy symptoms and feel more comfortable. Consider making an appointment to learn more and see just how massage can assist your pregnancy symptoms. Lower back pain is the most common type of back pain experienced, and in many cases, the pain is due to tension. If you are holding tension in your back, you may experience stiffness or tightness in the muscles. It is important to be able to determine if you are holding tension so that your back receives effective treatment. One sign of tension in the lower back is stiffness. If you have trouble bending and feel stiff in the lower area of your back, you are holding tension. You will need to complete stretches to help work out the tension and relieve the stiff feeling. You may feel an aching sensation or pain when moving certain ways. Try using heat from a heating pad to relieve the pain you feel or over the counter pain relievers can help until you can schedule a massage or other form of treatment. For many, tension in the lower back leads to stiffness which can lead to muscle spasms. 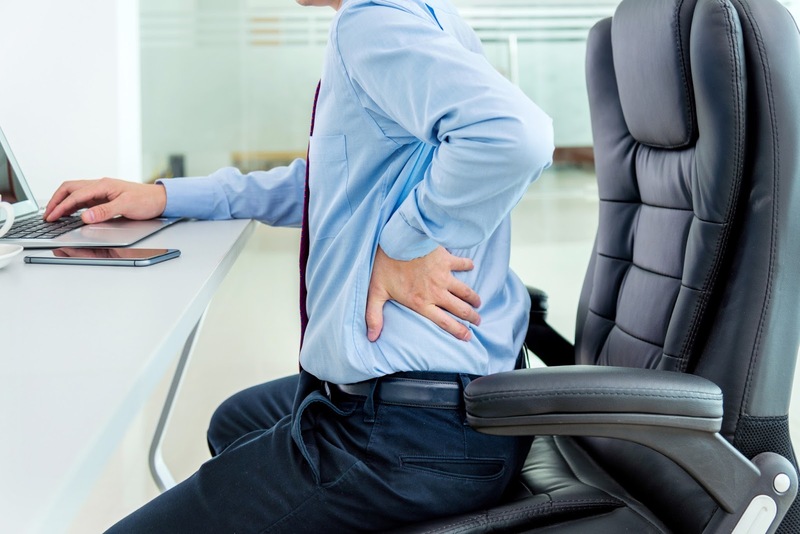 It can be quite painful to feel your back lock up due to muscle spasms happening. When spasms occur, it is best to relax and try to breathe through the pulling so that the spasm can finish, and you can move once again. At Academy Massage, special treatments are used based on the patient's condition to relieve back tension and avoid issues with the lower back in the future. Two important muscles, the quadratus lumborum (QL) and the Gluteus Medius, can play a bigger role in causing pain. If you strain either of these muscles, the pain can be severe and debilitating. If you have experienced this, please speak to your therapist at Academy Massage about stretches and other after care treatment that can be done.